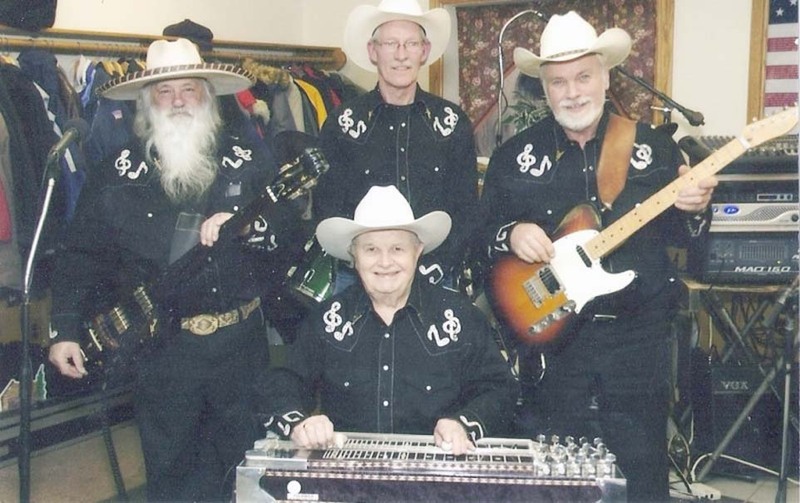 CASSADAGA — On Sunday, July 29, the Rustic Ramblers will perform on Cassadaga’s floating stage from 5-7 p.m.
Rustic Ramblers members call themselves a “group of ‘old geezers who like to keep the great sounds of classic country music alive. '” In 2004, four musicians with a combined total of experience that exceeds 200 years brought their talent and adaptations of traditional country music together and formed the Rustic Ramblers. They have been performing ever since. The band includes Jim (Frito) Lamphere of Fredonia on electric bass and lead and harmony vocals, Dave Bailey of Hartfield on drums, and lead and harmony vocals. Gene Hilts of West Valley playing electric pedal steel guitar and Howard Buck of Fredonia on lead guitar, and lead and harmony vocals. The concert is sponsored by the village of Cassadaga and is part of the Cassadaga Lake Summer Concert Series. Cassadaga’s Floating Stage is located at 45 Park Ave., Cassadaga. Boaters can attend by boat; those attending by land should bring a chair or blanket for seating. Food and drink is available to purchase with all proceeds going to the Cassadaga Food Pantry. Lifeguards will be on duty for the duration of the concert. The venue also has a playground, beach volleyball and a basketball court. In case of inclement weather, the concert will take place at the American Legion Post 1280, 228 Maple Ave., Cassadaga.